Brewing began in Delaware with the arrival of the first sizeable European settlement. 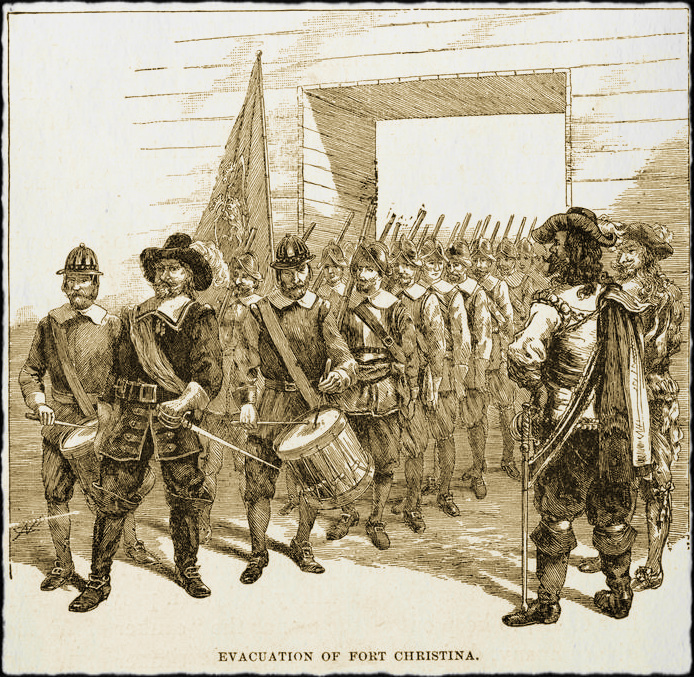 Shortly after establishing a trading fort, Fort Christina, at present day Wilmington in late March 1638, Swedish and Finnish settlers immediately began making preparations to grow barley and locate hops for brewing beer. Beer was a staple of the European diet in the 17th century, as it was recognized as the healthful alternative to drinking water. Back in their native homelands, water supplies were often polluted and unsafe for drinking. Of course, they had not yet discovered that boiling during the brewing process killed bacteria. Ale was consumed throughout the day by men, women and children, though the latter two groups tended to be served drink with a lower alcohol content. Brewing was happening in a very small way in and around Ft. Christina. Fermentable grain had to be imported into the settlement in the early days, as the settlers could not grow enough barley to sustain regular brewing. When malt was in short supply, the Swedes supplemented their brew with other plentiful fermentables such as persimmons, pumpkins, gords and Indian corn. Agreements were made with the natives to procure hops, as they knew where they grew wild north on the Delaware River. They also purchased hops from English traders. When hops were not available, the Swedes used birch, sassafras, spruce & myrtle to spice their ale. The beer produced at New Sweden was described as being very strong, murky and thick. In 1640, the first women arrived at the fort and, as mentioned by Gov. 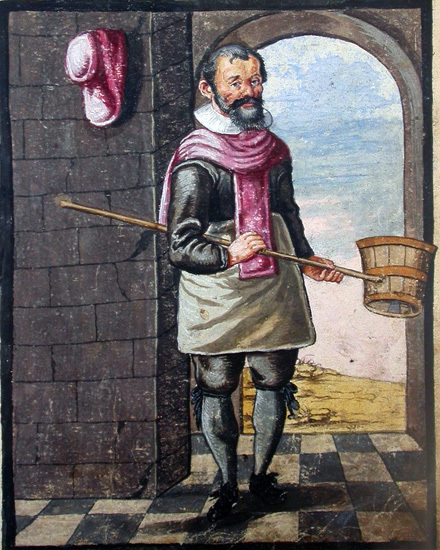 Pieter Ridder, they would be available to cook, make beer and wash for the people. Commercial brewing aside, the regular brewing of beer during that time was considered to be a household function performed by women. 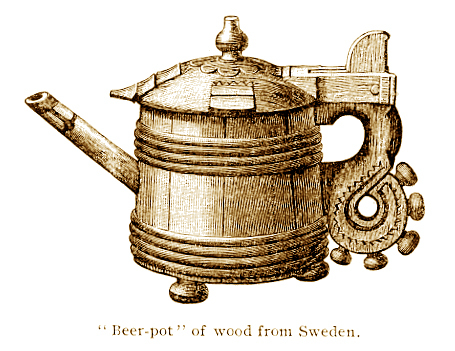 After Ridder’s arrival, numerous of copper kettles were shipped into the fort from Sweden and, no doubt, some were used for small scale brewing. Gov. Johan Printz replaced Ridder and the intent of Swedish settlement became colonization, rather than trade. In 1844, Printz moved upstream to present day Tinicum, Pennsylvania and constructed an ale-house and brewery near his home to service the settlers and soldiers who would be stationed there. Gov. Johan Rising, who eventually relieved Printz of his duties, had Printz’s ale-house dismantled, put upon a keel-boat, floated south down the Delaware River and set up as an inn at the center of the colony at Ft. Christiana. The first large brewing kettle had also arrived at Ft. Christina in 1648 and the colony’s first brewery was established there. Records indicate that a special beer was brewed in 1654 for a large Christmas celebration. Gov. Rising had big plans for brewing, malting and hop growing in the colony but, unfortunately, they would never come to fruition. A competing European colony established by the Dutch would soon wrest control of New Sweden in 1655. In preparing to defend Ft. Trinity (at present day New Castle) from the invading Dutch, Rising vowed to defend the fort until the last barrel of beer had been consumed. The fort fell to Peter Stuyvesant’s forces anyway and the Dutch then turned their attention to Ft. Christina. Rising had five barrels of beer into the fort and, against all hope, called a council of war. The Swedes futile situation was described as such by scholar, Christopher Ward: “A survey of their internal condition yielded only discouragement… The beer was the only cheering thing in sight. 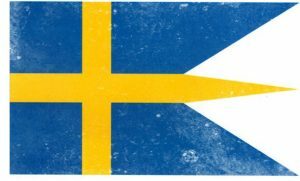 The council resolved on a policy of masterly inactivity.” And thus, the Swedes remaining supply of beer, their large brew kettle, Ft. Christina and, indeed, the rest of New Sweden was surrendered to the Dutch.